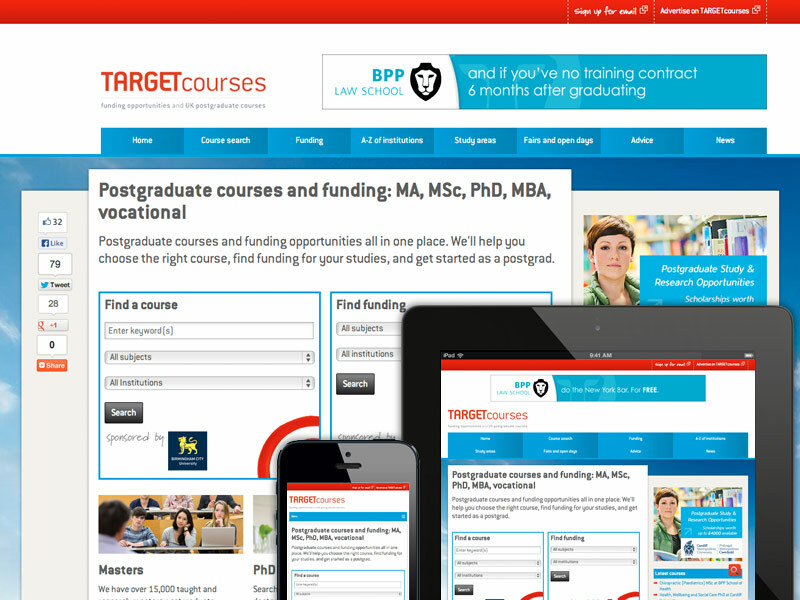 TARGET is the UK’s leading graduate careers brand. Through a long-term relationship with GTI Media, I have designed and built several iterations of the brand’s flagship website, targetjobs.co.uk, and related websites including targetcourses.co.uk. 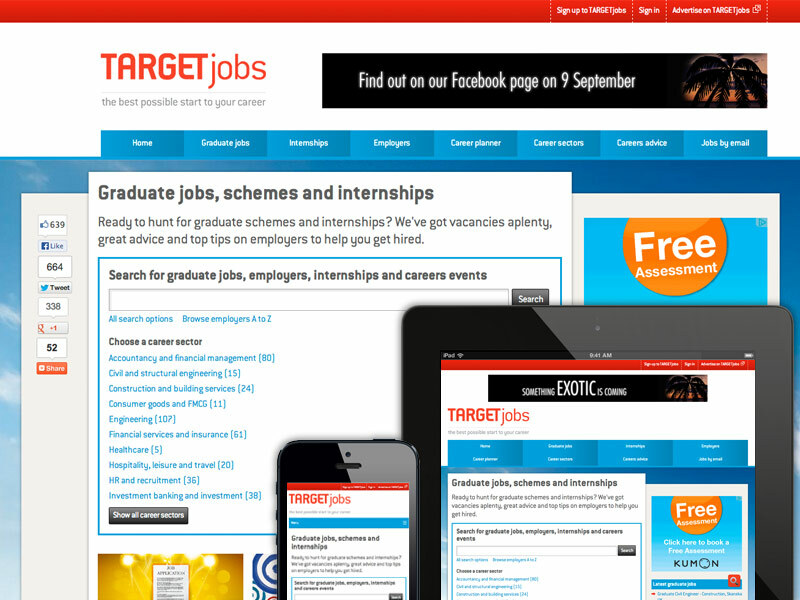 For the most recent design of the TARGETjobs and TARGETcourses websites, released in August 2013, I worked alongside GTI Media's internal design, editorial and marketing teams. After I advised on aspects of a new website design, the proposed look and feel was created by GTI Media, and I then built a responsive Drupal 6 theme to be shared across the websites. The new theme has been applied to two existing websites, which together comprise tens of thousands pages of content, without the need for substantial rewriting or reworking of back-end code. The process was carried out without any content or code freezes needed on the live websites, and all existing functionality and features of both websites have been maintained. My ongoing work with GTI Media has involved intensive design processes including user testing, wireframing and designing in the browser, and highly customised Drupal theme development. During projects I have either run or worked closely with teams of developers and designers to implement iterative improvements, dealing with the pressures of a constantly-changing and highly competitive marketplace. I have also consulted on all aspects of best practice when running a major website. This has resulted in targetjobs.co.uk and targetcourses.co.uk being regularly highly ranked and rated in their respective fields.